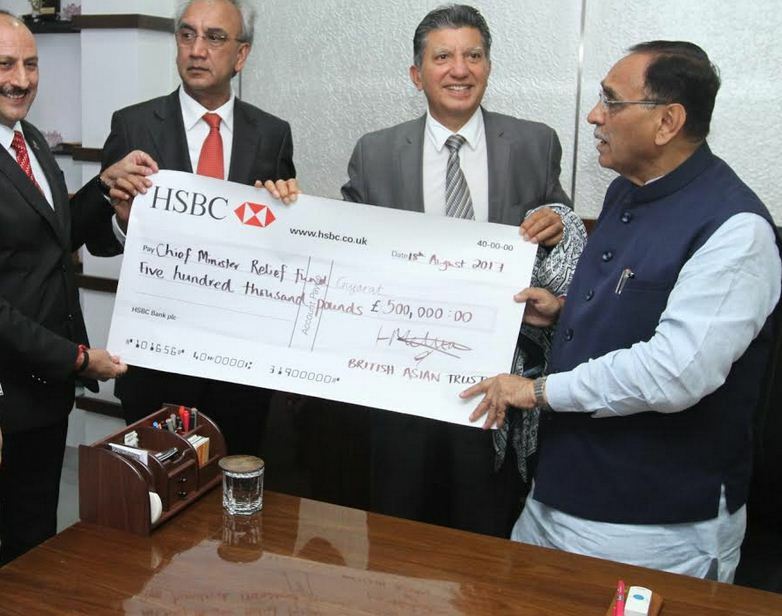 Gandhinagar: London based British Asian Trust today handed over five lakh pound (roughly over Rs 4 crore) cheque to Chief Minister Vijay Rupani in capital Gandhinagar. This fund was collected in Morari Bapu’s katha at Wembley in Britain recently for the flood affected people of Banaskantha and Patan districts of North Gujarat. 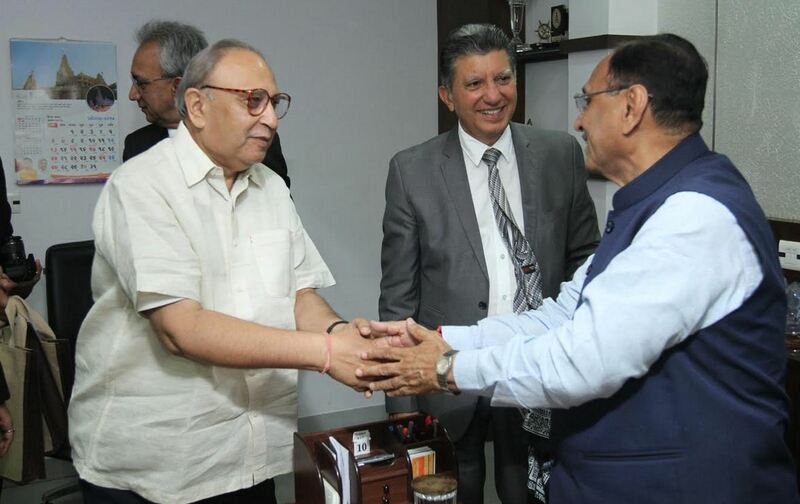 Hotel Crown Plaza fame Lord Dolar Patel and host of Ram Katha Shri Rameshbhai Rushibhai Sachde today presented the cheque of fund to Chief Minister. 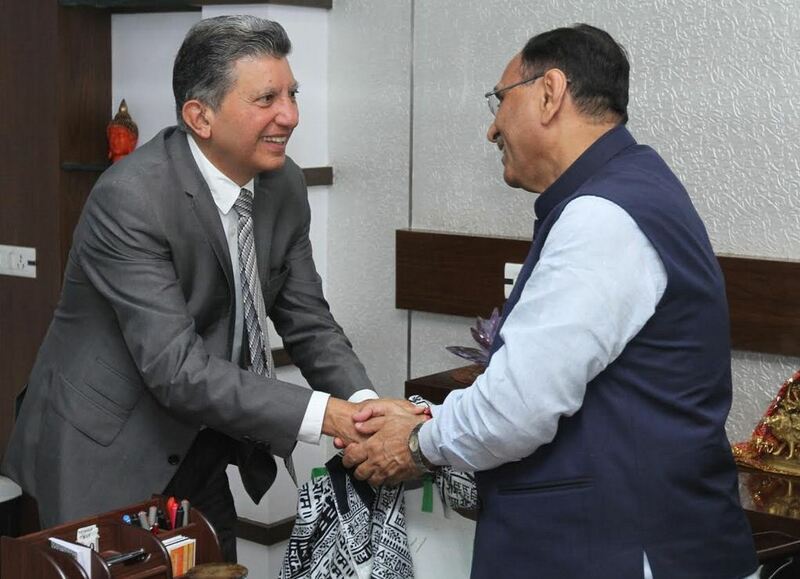 The Chief Minister thanked non-resident Gujarati families for their donation.